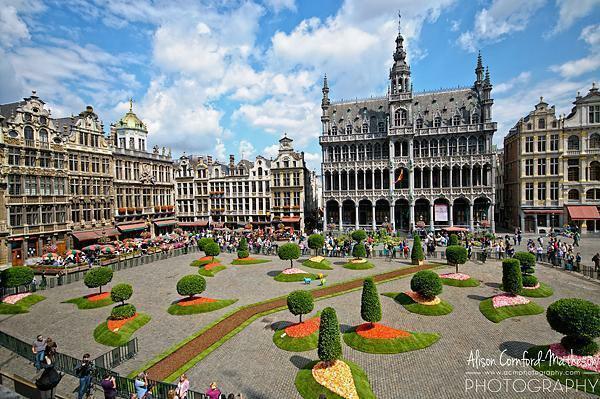 The most popular event on the Brussels summer calendar is the Flower Carpet in Grand Place. Unfortunately, it only happens every other year. 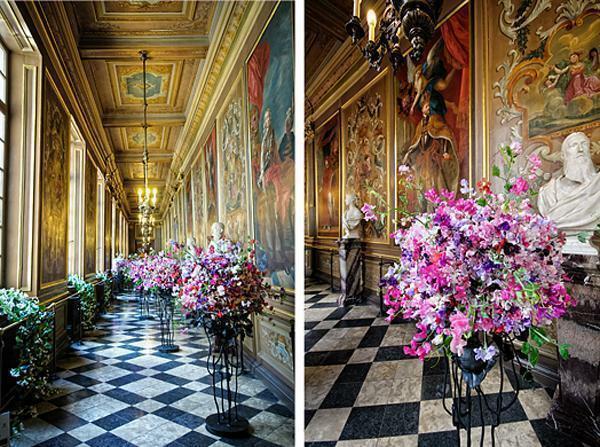 But this year sees the inauguration of a new floral event. 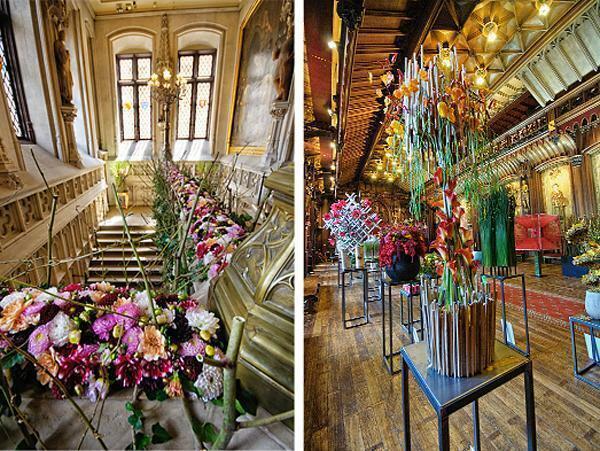 Every odd year, Floralïentime will fill Brussels’ stunning city hall building with floral arrangements from some of the country’s best designers. 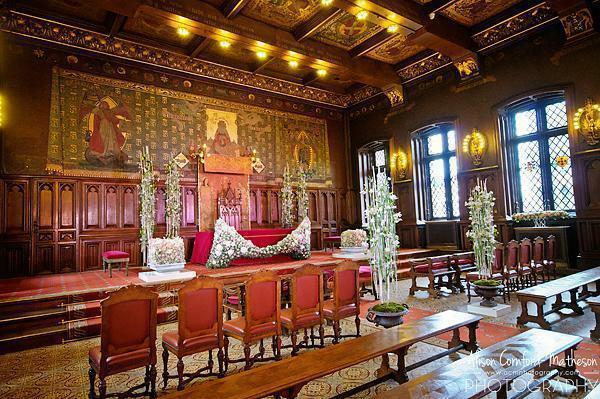 Floralïentime was created by the Brussels Flower Carpet organization in partnership with Ghent Floraliën, a gigantic floral event in Ghent. 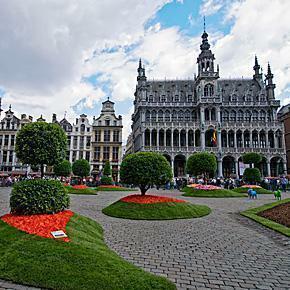 The goal was to have something special in Grand Place on the years between Flower Carpets. They’ve succeeded. 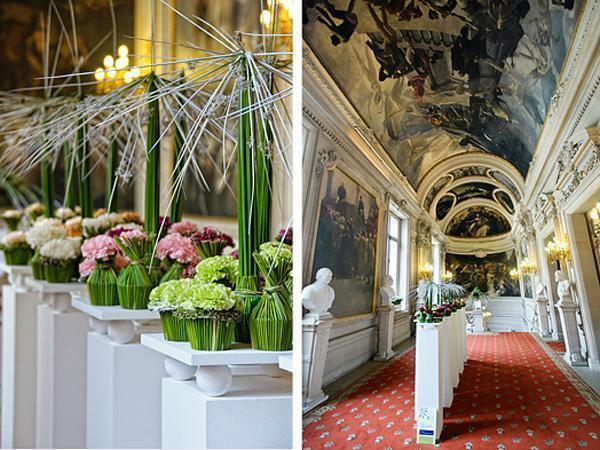 I was lucky to get a sneak-peek at the city hall before Floralïentime opened to the general public and it was stunning. 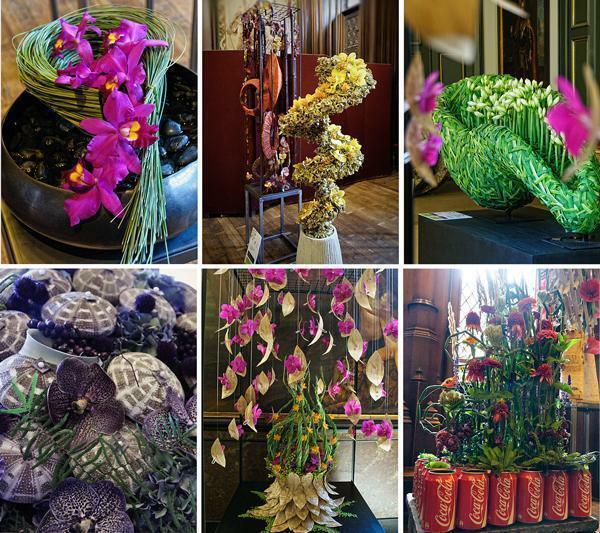 The floral displays are lovely and well worth the 5€ admission price. 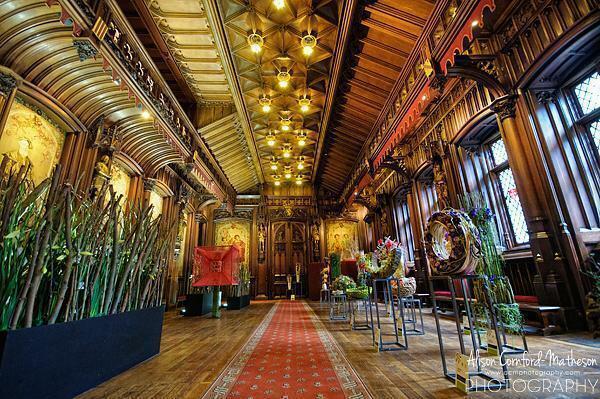 But it’s also a great opportunity to tour the magnificent city hall building itself. Rather than tell you about it, I prefer to show you. 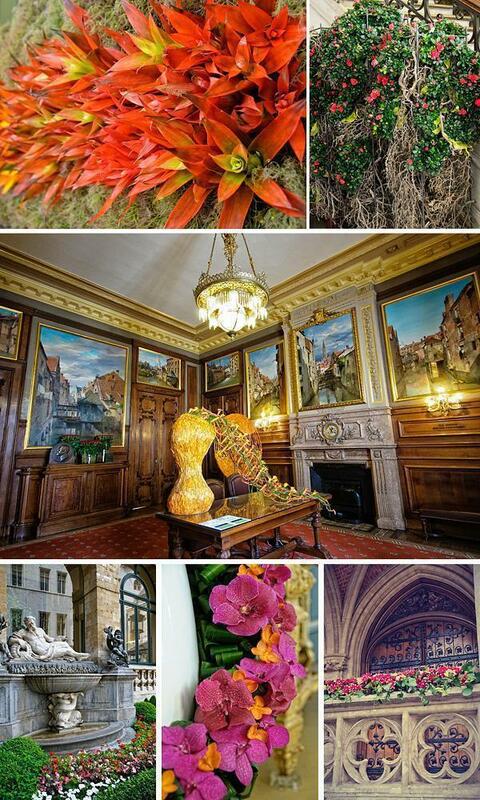 Here’s a virtual visit to the 2013 Floralïentime exhibition in Brussels Grand Place. 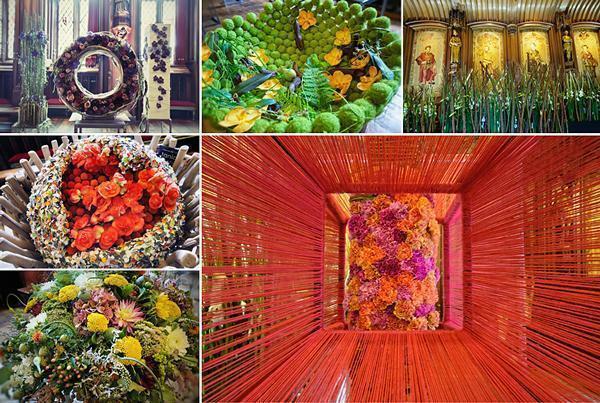 Floralientime runs from 15 – 18 August 2013, and is open everyday from 10 AM till 10 PM. Admission is 5 euros per adult and children under 12 are free. [Editor’s Note] This post is outside of our normal Tuesday/Friday schedule because we wanted to share it with you while you still have time to visit for yourselves. 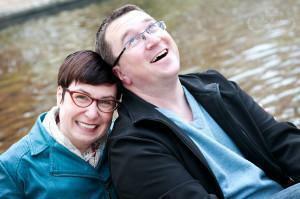 Please note there will be no Tuesday post next week to compensate for this.